June | 2010 | Always On! Now that foursquare is cracking down on “cheating,” it won’t let me officially check in at the fruit stand outside my apartment. Instead, my iPhone informs me that I am too far away from the cart. Is it possible that I created the venue from inside my apartment? I don’t believe so. Unfortunately, the functionality of foursquare is limited by the GPS and other geo-location capabilities of the handheld devices. On a related note, the founders of foursquare suspect that Dodgeball, their first geolocation game, was ahead of its time. When it was created, the means of checking in was text messaging. I am now foursquare friends with one of its founders, which means that I can see how he personally utilizes it. Thus far, he seems to check-in predominantly at social venues or when doing something social or interesting with the 4Sq team. When Dodgeball was created, the initial purpose – I am told by a woman I met at Lower East Side birthday gathering – was to invite others to join you at a location. It has now become, she feels, about announcing where you are. And, she sadly mused, the initial function will become less useful as the base gets broader. When Dennis spoke the other night, he said that he was greatly inspired by Nike Plus in developing foursquare and by the idea of (a) making life a game and (b) providing virtual rewards for real actions. What is the value of getting a badge… well, really nothing except that “I did and you didn’t.” And the impact of creating a badge is that the foursquare game influences the real life actions of its players. 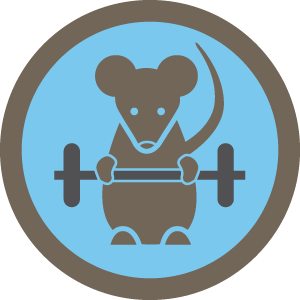 As I observed personally in my first blog about using foursquare, the Gym Rat badge can be earned by working out 10 times. That motivates people to work out. The pizza badge is earned by checking in to a certain number of pizza venues. By the by, Dennis’ comments about making life a game and influencing real life behavior via these kinds of rewards systems have a lot in common with Carnegie Mellon Professor Jesse Schell’s “Beyond Facebook” talk at G4 Dice 2010 about a world of game development which will emerge from the popular “Facebook Games” era. Games, says Schell, are invading the real world — and the runaway popularity of Farmville and Guitar Hero is just the beginning. The future, he predicts, will be one in which 1-ups and experience points break out of the box, as it were, and into every part of our daily lives. His talk definitely worth viewing. Last night Dennis Crowley, co-founder of foursquare, told me that foursquare’s membership is now 1.7 million and growing at 100,000 per week. He also mentioned that the game/service receives one million check-ins per day. …if 1.7 million people are checking in 1 million times, that suggests that on a given day at least 700,000 registered users are not checking in at all. A colleague at a digital agency recently told me that the agency “required” everyone there to check in on foursquare day back in April. So… if all those people signed up in order to check in on that day, the question presents itself – how many actually used it on April 17th and thereafter? If we speculate that there is a vanguard of 10-20% of users who are doing most of the checking-in, it seems that between 170,000 and 340,000 people are checking in 3-6 times a day. So, the excitement is there – lots of buzz & photo opps for Dennis. The awareness is growing – Starbucks!, but usage may not be keeping up with adoption – or, to put it another way, adoption is not keeping up with registration. There is surely a population of users who check-in only when they have something interesting that they want to announce. There is a second foursquare topic that has crossed my mind since Dennis’ Bartiromo interview and his talk last night. With respect to privacy, foursquare points out that your check-ins, i.e., announcements of where you are, go out only to your friends and/or facebook friends and/or twitter followers, i.e., it is your choice how private or public you want to be. In fact, you may choose not to issue a notification at all. Whose Game Is This Anyway? What Happens When the Actual Starbucks Barista Becomes Mayor? Foursquare’s partnership with Starbucks is giving the game even more mainstream exposure but also leading to the kinds of stakeholder complications I discuss in my recent posting about Facebook. The dilemma outlined in a recent article is this: Starbucks is offering a special reward ($1 off a Frappucino) to the mayors of its individual establishments. 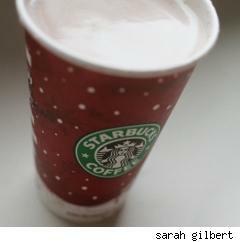 However, what happens when the mayor of your local Starbucks is the one serving you your coffee? Well, some are crying foul. Employees, they say, should not be allowed to participate in promotional contests. A valid point, but the complication comes from the fact that foursquare is not a Starbucks platform or even a platform developed for marketing or promotional purposes. This harkens me back to the question I asked Dennis Crowley when I first heard him speak during Social Media Week in NYC. 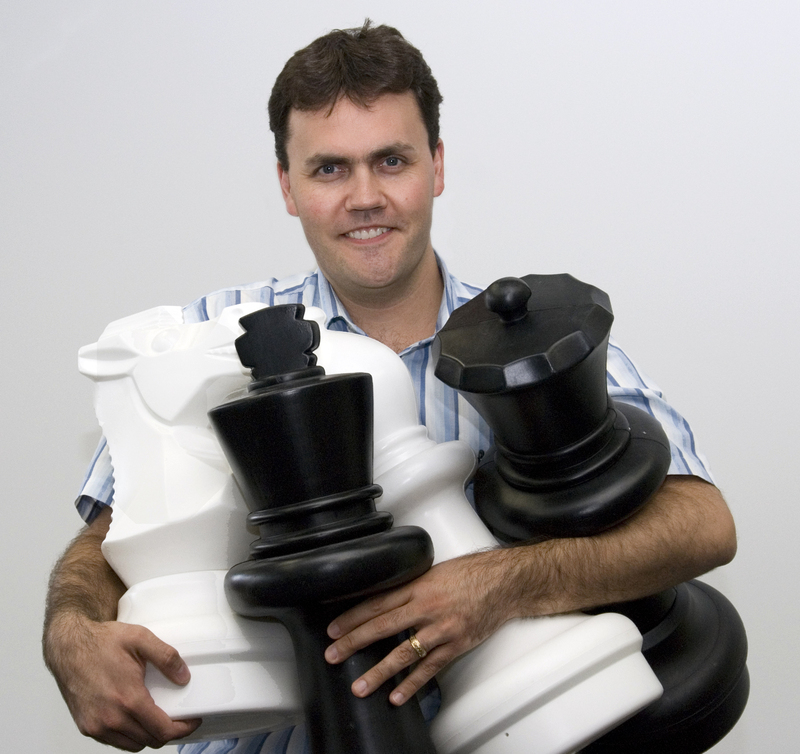 What, I asked, was his plan in developing 4Sq? What was the history and the intention? I asked because there seemed to be real monetization potential for this platform, that is strikingly uncharacteristic of predecessors such as Facebook, Twitter and even Google, which did not have a monetization plan for the first five years. So I wondered whether the Crowley crew had these brand partnerships, e.g., Bravo, in mind when they developed the tool. Though Dennis deferred my question to a later conversation, my general feel from what he did say is that the application was created more with the users in mind than as a monetizable tool. If I remember correctly, the main impetus was that since Dodgeball had been sold to Google, he and his friends lacked that kind of mobile tool to communicate and coordinate. Moreover, as he stated during this week’s Bartiromo interview, the full monetization plan is still evolving. And, in my opinion, it is evolving from several directions: (1) the power of the data (2) the simple promotional opportunities (3) the strategic partnerships. Returning to the coffee cup at hand, Foursquare is not a Starbucks platform. Rather, Starbucks is offering a benefit that is meant to enhance the foursquare experience and, in return, foursquare is providing a targeted communications vehicle and a platform that makes this special offer logistically possible. But when real money starts to be part of the game – I believe that one of the big box CE retailers is offering a sizable incentive and Dennis, himself, just posted on Facebook that a lobster restaurant (@ Luke’s Lobster) is offering a 10% discount – things change. 4Sq today depends to a great degree on the honor system. The team has had to implement some anti-cheating controls lately such as preventing people from getting points or badges or mayorships when they check into a venue too far away from where their phone says they actually are, but it’s still based on fair play. But this is not the crucial point – to my mind. The fact that the employees at SBs are checking in and, potentially, becoming mayor is not foul play at all. It’s the original intention of the game, to let your network know where you are. Preventing employees from checking in or even becoming mayor changes the nature of the game and the meaning of the titles and badges. I am interested to see how this unfolds as new people are introduced to 4Sq as a commercial – promotional tool first rather than vice versa. Digital technology is disrupting long-standing business models across all sectors of media, entertainment and information including, of course, book publishing. Traditional book publishers are finding the competition for leisure time increasingly intense as digital entertainment options and adoption skyrocket. Even those who continue to appreciate the value of reading a good book are consuming books in new ways including eBooks; Kindle, iPad and Nook readers; and other mobile devices. The definition of what a book is and is not is in flux as publishers experiment with multi-media and interactive offerings such as Fourth Story Media’s Amanda Project. This collaborative fictional mystery for girls is told across a variety of different media including an eight-book series and interactive website where girls can become a character in the story and contribute to the books. A second example is the recent collaboration between Hyperion Books and ABC Television. Hyperion Books is a general-interest book publisher within the Disney-ABC Television Group. Cognizant of opportunities and imperatives to redefine traditional publishing models, Hyperion has had several successful initiatives. These include a highly successful integration with ABC’s Castle television series in which a mystery novel by the show’s protagonist was published serially online before being printed and distributed via traditional channels. In the non-fiction realm, Flatworld Knowledge has developed a highly disruptive model that allows students and educators to define the way in which they would like to consume and interact with textbook content and do so in accordance with their individual budgets, study habits and other preferences. And then there is the market for self-publishing and publishing on demand. The pace of change is picking up speed as Digital Natives, who are used to a “where I want it, when I want it, how I want it” lean-in participatory and social media experience mature – and as the general population becomes more digitally immersed. During a discussion at the WIMI “Future of Publishing” conference, I asked one of the panelists whether the impetus for creating these types of innovative solutions had created a need for people with less traditional publishing backgrounds and more digital expertise and insight. I also brought to his attention the work of Campfire (www.campfirenyc.com), a Triple Play Client founded by the producers of The Blair Witch Project. Campfire has applied that kind of interactive storytelling to the marketing space, creating multi-faceted narratives that inspire consumers to proactively unravel stories. 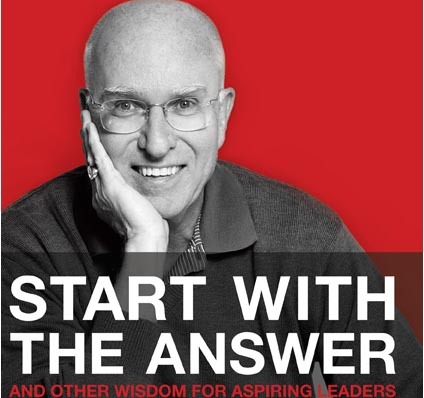 Examples include the “Art of the Heist” and “Beta 7.” While these programs were developed as marketing campaigns, the interactive mindset provides a good stimulus for creative thinking about the opportunities facing book publishers. Those of you who read my blog (much appreciated, by the way) may think that I am obsessed with foursquare. And, perhaps that is true. I am very much looking an upcoming talk by Dennis, but that is beside the point. I am simply fascinated by the concept of this mobile application, how it affects my life, other people’s lives, our society, communication, and so on – and how that is evolving with the expanding usage of this tool, Gowalla and other hyper-local activities. As of this week (this entry was initiated March 20th), foursquare has half a million users. That is up from 400,000 last week due to intense guerrilla marketing at the South by Southwest event (SXSW) last weekend. That, in itself, is noteworthy. From what I’ve heard, foursquare got the jump on Gowalla last March when it spread throughout the South by Southwest community – demonstrating the power of crowds and of live viral communication. Bring a group together with a passion for social media, and you can increase your audience by 25% in a weekend. Based on a CNET podcast, it also seems that Gowalla increased its user base that weekend with many foursquare users adding that application to their smartphone portfolio. As someone who often works from home and who has many different “social graphs,” i.e., social and professional networks, foursquare has been of great interest to me as it has allowed me to stay in touch with the world beyond West 74th Street, meet new people, feel connected to a range of people and deepen my personal and professional relationships. I am also intrigued by the way in which the gaming aspect of the function affects me. By ranking people based on points and awarding points based on the number and characteristics of check-ins, foursquare brings out my competitive side and consequently influences my behavior. I feel motivated to get out, to go to multiple locations, to get to the gym because Kandace went there before work, and I want to unlock the Gym Rat badge, to check-in on my way to the subway so that I have time to capture that location. It also makes me more aware of my behavior. Until foursquare told me, I had no idea that I had been to a certain location 10 times in 30 days. I thought I went there once or twice a week. I am the mayor of Pinky Nail Salon, Fashion 74 Nails, MaxWax, Andy’s Deli, Duane Reade and other local spots; this makes me aware of the fact that I frequent these place and that few other foursquarers do. And when I am dethroned (aka ousted), as with Duane Reade, I sense the expansion of the game’s popularity. The first thing I do when I arrive somewhere is check in. The next thing I do is check my ranking. Each day, foursquare has a unique impact on my day as I watch the way in which it influences my city, myself, and at the risk of being melodramatic, my world. I include my world because I was surprised to see how prevalent it was in Puerto Rico. I’ve just returned home from a long day in Central Park, at a seminar and hanging out with a friend. Most days that I check in at home, there is nothing trending in my neighborhood, which makes me feel like a bit of a pioneer. Today, there were two places: First, AMC Loews Lincoln Square 13, the huge multiplex theater on 67th-ish and Broadway. That makes sense. And second, a place called, I believe, Bar 460. I say, “I believe” because when I went to double check it just now, it was no longer trending, and I couldn’t find it at all. Ah well, I came very close to learning of a new venue in my neighborhood. Oh, and in going back to look for Bar 460, I saw that the AMC theater had only 5 people. So, that’s trending for the Upper West Side. It could be one group of friends. Ah, and voila, at 10:45pm the movie theater is no longer trending. I guess the early show is finished. Five weeks ago, I was fresh off the Social Media Week boat (metaphorical) and freshly on the foursquare bandwagon. I was like a person who had just finished the Landmark Education Forum. My enthusiasm was so great that it was contagious. It was at that time that I had a meeting with a senior executive at a major advertising agency. In demonstrating the application – having already checked in at the location – I noted that there was one person at the agency who was showing up as present. A senior Creative executive. The Strategy executive called him to acknowledge his tastemaker status, and I friended him. This evening, as I was walking from one nail salon (closed for the night) to another, I used the opportunity to check in. Glancing down at my options, I noticed a new location that was “Trending Now.” The name seemed to be “Sunburned” something and glancing at it as I walked, I thought it was a tanning salon! My observation, therefore: it looks like folks are getting ready for the warmer weather – though I was a little perplexed given the current temperature of 50-something and a less than inspiring weather forecast. Later that evening, when I arrived home, and my nails were dry enough to remove my iPhone from my pocket, I took another look at the name of the locale – which was still trending on the Wednesday night. 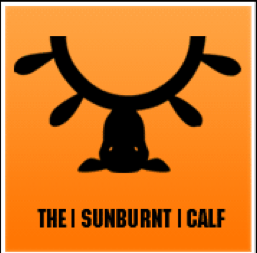 It was “Sunburnt Calf.” As it turns out, Sunburnt Calf is a new bar and brunch locale – an offshoot of Sunburnt Cow in the East Village and BondiRoad on Rivington Street – wherever that is – and has been open a little more than two months. Perhaps I am back in the know! I’ve noticed that a my foursquare friends seem to spend a lot of time at airports. Is it a reflection of my group of friends, of people in general (with me as the exception), or the fact that since people have a lot of “free” time at airports they are more likely to check in. I think it is a combination with an emphasis on the latter. I’ve also noted that a disproportionate number of my friends seem to out of JFK – very few from Laguardia – and often fly JetBlue. Good taste. As I see them checking in at Terminal 5, I try to recall whether I was the one who set up that specific location. The Museum of Natural History has been trending this week. It must be spring break. On a related note, the Shake Shack across the street from the museum has also been trending. A new person has started checking into Pure Yoga. A man! Quite a feat since I get absolutely no AT&T coverage within the building. Attended a social media panel at razorfish’s NY offices (SMAC) followed by drinks and plentiful bar food at Heartland Brewery. foursquare users abounded – first time for me in a while. Whoops – almost forgot the most important bit of news! foursquare is rolling out analytics services. The implications for marketers are tremendous! Oh, and another, Tom C. tells me that the social marketing executive for JetBlue always keeps tabs on who is the Mayor of Terminal 5 at JFK. Smart. As I said above, I think there’s a lot of opportunity at airports – captive audience with time to kill away from most of their social graph. 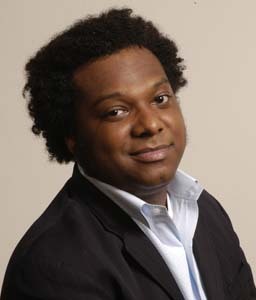 One of the more interesting things that Bonin Bough, Global Director of Digital and Social Media Strategy for Pepsi, said on a SMAC (Social Media Advertising Consortium) panel the other night was this: While historically, a huge (300,000 people, I believe and hundreds of thousands of products, I believe…) company like Pepsi would find a movement/application like foursquare to be too small to be relevant or usable, their current outlook is that they have the ability to take something like this, if it is truly interesting, and make it big. (He didn’t use the word scaleable, but I felt a need to say it… like a trained reflex.) Very interesting. I’ve noted that when I am at a networking event and another digital strategist (typically male) is using foursquare, he will “aggressively” take ownership of instructing those not familiar with it and assume that I know less than he, even if I have checked in as well. I’ve also noted a lot of people who seem to have some personal knowledge/relationship with Dennis or his colleagues but also have some difficulty gaining access. Oh, how I hope my plans to have dinner with him following an upcoming talk that I am co-sponsoring do not fall through. It seems to be a highly sought after privilege. After discovering Burnt Calf via foursquare trending some months ago, I finally checked it out in person on Saturday. It’s very close to my apartment and has bottomless brunch cocktails. However, it turns out that brunch doesn’t start until noon. So we went elsewhere and sat outside on the lovely day that seems to be preceding a rainy one – still holding out hope for a 5pm tennis game. There is a young fellow named B.H. who is the mayor of two residential buildings on CPW in the West 90s. His tip is “Live Here.” Do we think he’s a broker? 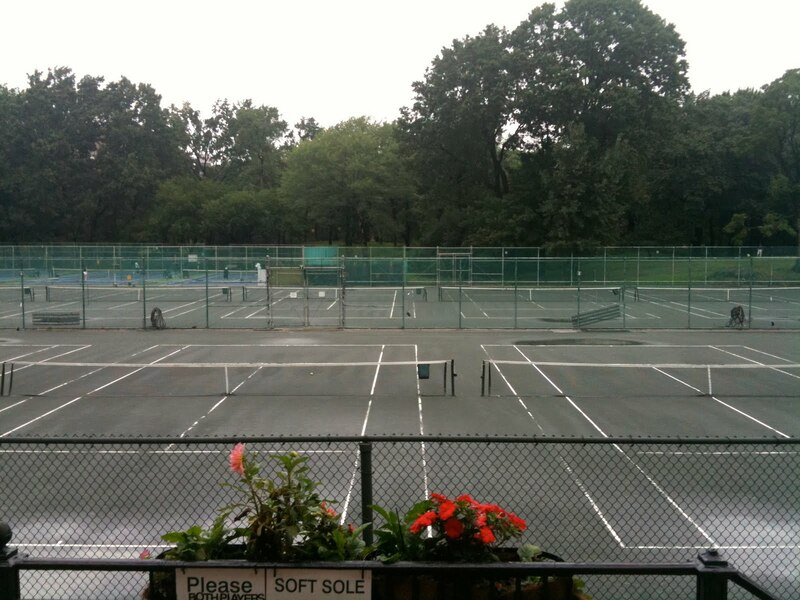 I’ve come to the conclusion that the mayor of the Central Park Tennis Center does not play tennis at all. He seems to be a runner that checks in at each venue he passes. That explains why the overseer at the courts didn’t recognize him. I have noticed that a former colleague of mine was spending a lot of time at the gym (as communicated via foursquare and, before that, facebook). She would check in at 4 in the morning and often check in twice a day. I found out today that she’s a body builder! So, it wasn’t that she was going to the gym before an early day at the office, she was spending 4 hours a day working out! A few months ago, when I first heard Gary Vee speak, he asked his audience how many of them had sworn at one point that they would never have a cell phone? And how many swore they would never have a facebook account? When I heard him speak last week at the re-Set conference, he added foursquare and Gowalla to his list of things once forsworn. Hey! Did foursquare just add back the ability to Shout Out once you’re already checked in? It seems that they have. Can foursquare hurt your career? As a consultant, and depending upon the specific project, I often work from home and have the flexibility to work whatever hours I like – as clients who have received 3am emails will attest. However, if a client – or potential client – sees that I hit the yoga studio at 4pm or grab a game of tennis at 3, will she think I have too much time on my hands? Or will she think that I have a good work-life balance or level of discipline? This came up in a conversation today with an executive who passed on a job candidate because the applicant didn’t have a lot of LinkedIn connections. Personally, I think that is a very valid and relevant assessment. When I interview someone for a job, one of the first things I do is check out the LinkedIn profile – particularly if I want to get a sense of the digital savviness of the candidate. 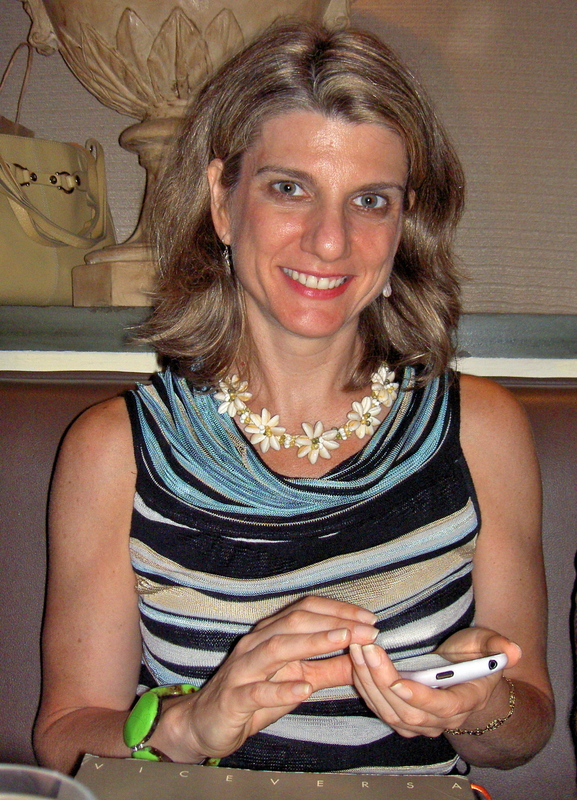 Does use of foursquare signal that you are a vanguard or simply give out too much information? I am convinced that foursquare needs me to reach their full strategic potential. I’m going to spend the next few days figuring out why. Oooh, I’m #15 on my list of friends this week! Usually I’m at least in the top five. Often in the top two by the end of the weekend. This can’t be good. Another of my contacts likes to include little sales pitches in her posts. I’m not a fan of this approach. Creepy? Maybe. Helpful? Yes. I have a business contact who lives in Boston that I want to meet with when he is next in New York. This morning he checked into Penn Station, Philly on his way to NYC. I sent him a text. This afternoon, he checked into Penn Station, NYC. I sent him a second text. This evening, we are meeting for drinks! I would estimate that foursquare has a million members at this point. I’ve noticed that the AMC Theater and Shake Shack are often trending in my neighborhood. Could this be related to the fact that both places involve downtime in which you are waiting for something to happen – waiting for the movie to start & waiting in line… similar to why I think airports often encourage check-in. Came home today to see lots of activity at the Beacon Theater. When I checked in at the fruit cart just south of the stage door, I noticed 47 people checked in. With a little Google sleuthing, I figured out that Fox TV is having their upfront presentation there. I then went onto Twitter to see whether attendees were tweeting about the event. Tried out #fox and #foxupfront. Indeed, they were – though very minimally relative to the number of folks on foursquare. 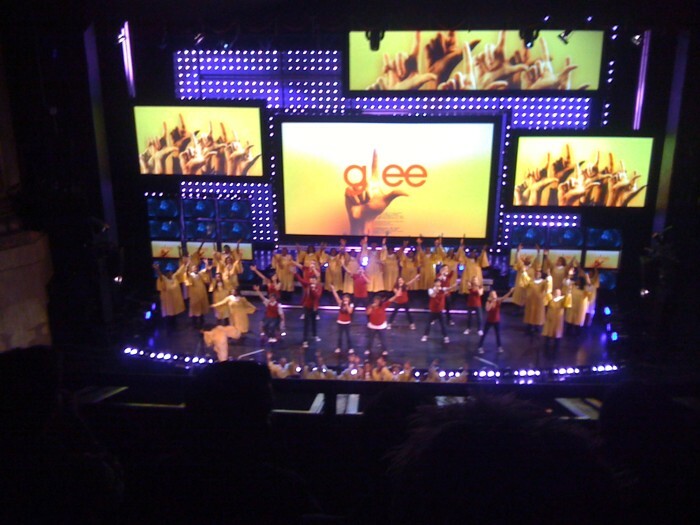 I then decided to take a look at who is attending the upfront. I clicked on a person and then took at look at her mayorships. It’s quite amazing what you can piece together from this little bit of info. You can basically infer where the person lives, where she works, what her family status is and what her interests are. One attendee is mayor of Zenith HQ. Hmmm… a media buyer, perhaps. Another attendee is mayor of Berry Hill Elementary School, the CVS on “Cold Spring Road,” LIRR Syosset and PM Pediatrics on Jericho Turnpike. Dr. House would have a field day with this stuff! I noticed that ABC had more check-ins for its upfront presentation at Avery Fisher than Fox did at the Beacon. Around 57 vs. 47. I’m assuming that it was a larger crowd – otherwise, it could mean that the foursquare population is growing over the course of and due in part to upfront week. Created a check-in for “Stuck In Traffic.” It had to be done. Here are some programs, conferences, panels and events that I have on my radar that you might find of interest as well. From On Demand to Always On – How to Reach and Engage a Mobile Audience. Limelight Networks and MTV Networks Talk Mobile Video — still available via recorded webcast and presentationWhat a difference a year makes. Remember when the iPhone had the app store market cornered? When there wasn’t a Droid, or a Nexus One? A Kin, or an Incredible? When there wasn’t a Nook, or an iPad, or a Slate? The mobile market is changing, and content publishers face a world of complexity in delivering media to audiences on the go. Limelight Networks CTO of Mobility and Monetization Solutions Jonathan Cobb and MTV Networks Senior Director of Product Development Todd Kennedy discuss evolving market conditions, mobile strategy considerations, and real-world examples of mobile media success. Linked-N Bergen County Networking Event. Social Media Discussion Panel About LinkedIn. I was one of the panelists. Tuesday, May 18th. 6:30-9pm. Crowne Plaza Hotel, Paramus, NJ. Registration will be from 6:00 p.m. to 6:30 p.m with networking until about 8:15 p.m. And then back by popular demand we will have another panel discussion hosted by Chris Kieff. The food is being catered by Bone Fish Grill, and there will be a cash bar. The Crown Plaza is located at 601 From Rd next to the Paramus Park Mall and across the street from the Garden State Parkway. You can register at the link above. The cost is $12 in advance, $15 at the door. There were 84 people at the last Linked-N Bergen County event, and we expect to break the 100 mark with this program. The Future of Publishing by WIMI (Wharton Interactive). Friday, April 30th, full day. NYC. F8 by Facebook. Wednesday, April 21st from 8:30am-5:15pm – Still available via Livestream. Definitely check it out to hear about the open graph protocol and other revolutionary announcements. Social Media Advertising Consortium NYC Salon. Wednesday, April 7, 2010 from 6:00 PM – 8:00 PM. Razorfish Offices, NYC.